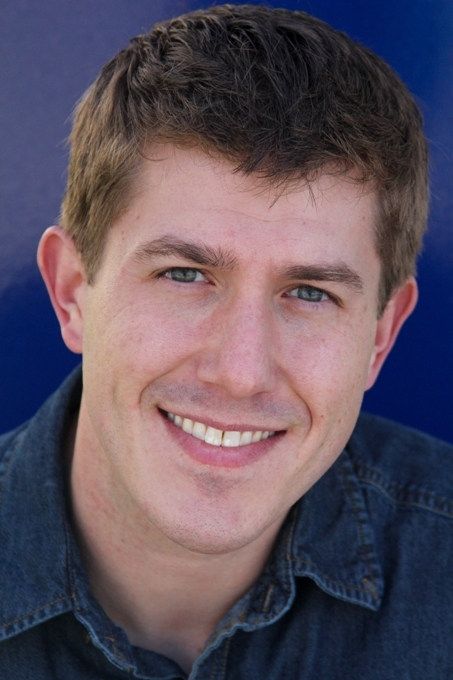 Hello Mr. J. S. Bangs and commenters! This post was brought to my attention recently and I am most grateful for the opportunity to participate in the Euripides quote discussion. Madeleine L’Engle was my mentor and friend. Over the years I was in her writing classes and saw her often in NYC. In 1993, my partners at EliasMusic lsp and I produced the audio version of Madeleine’s reading of A WRINKLE IN TIME in its entirety. It was a challenging project and most inspiring. The book is a treasure. Sure enough, the Euripides quote had fallen victim to two sets of inaccuracies. When Madeleine copied the quote on to her original manuscript by hand, a letter was omitted. When the typesetter chose Greek characters from the manuscript, more mistakes were made. To date, after several requests, the Greek quote has not been corrected with millions of copies of WRINKLE sold. Currently a new film of WRINKLE is in the works by Ava DuVernay. The timing has prompted me to again let the appropriate parties know that the quote must be corrected. Hopefully it will happen. In my workshop THE BIG FAT LITTLE GREEK MISTAKE, participants have enjoyed analyzing the process that happened. They are happy to make the discovery and correct their copies. Αελπτον ουδέν, πάντα δ´ελπιζειν χρεών. Nothing is hopeless, we must hope for everything. Again, thank you for this post and responses. Please feel free to contact me via email. I would appreciate any information you wish to share. Well, this just about made my day. Evidently the mistakes in the printed text are known, and have been known for sometime, but publishing being what it is it’s been very hard to get anyone to change it. Hopefully the new TV version of the film will have the actors pronouncing the quote correctly :). 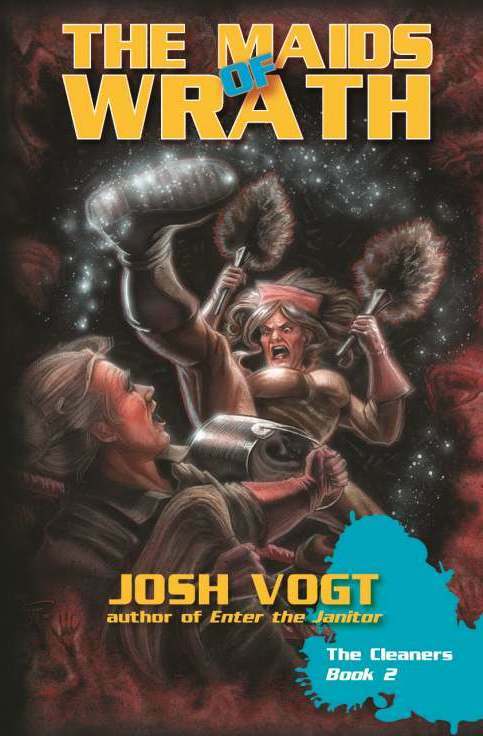 I’m happy to have Josh Vogt here at my blog again, in honor of the release of his second novel, The Maids of Wrath, the follow-up to last year’s Enter the Janitor. Josh has also written a number of tie-in novels for Pathfinder, which you can find more about at his site or by following his his YouTube channel. Things quickly became more complicated once I started researching writing craft and the publishing industry, attending conferences, conventions, and critique groups—but the initial dream remained intact. I dedicated countless hours to this new passion, trying to refine my technique, trying to complete stories and submit them, and then trying to not let near-constant rejection discourage me from continuing on this path. Years went by. I worked for a publisher, writing sales copy. I worked as an editor for an online newspaper. I eventually transitioned into full-time freelance writing, expanding from corporate copywriting to writing for roleplaying games and other fun projects. I also got an agent, only to amicably part with him a year later after things didn’t quite work out. And then, back right at the beginning of 2014…I got an offer for not one but two books. On one side, I got a contract to write a novel in the Pathfinder Tales tie-in line, set in the world of the Pathfinder Roleplaying Game. 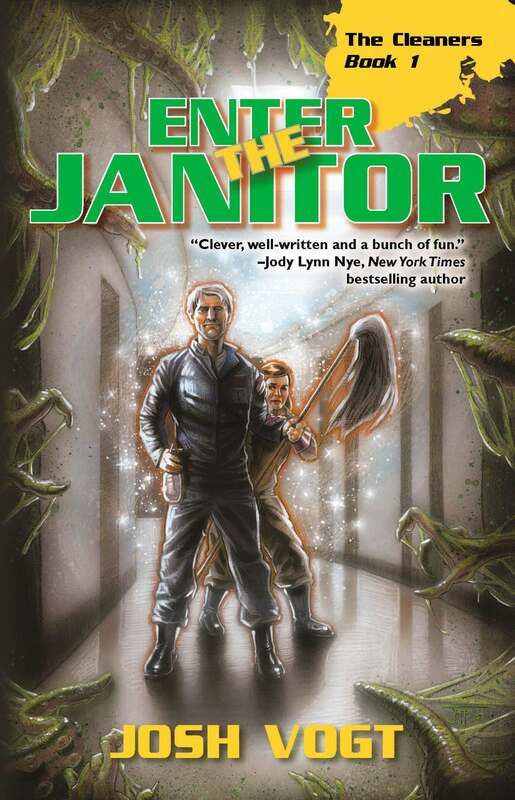 On the other, WordFire Press acquired Enter the Janitor, the first in my humorous urban fantasy series, The Cleaners. Both came out in May 2015, and now The Cleaner #2: The Maids of Wrath is out April 2016, with #3 well under way. It’s a strange feeling when you’ve worked so long and hard to reach a particular goal, to achieve a specific dream…and then it happens. You make it. You’re there. There’s a celebration, to be sure. Launch parties and signings and conventions and those wonderful first reviews (while quickly learning to ignore reviews in general, for sanity’s sake). You get to meet readers and fans and maybe even earn some royalties! Inevitably, though, within all the hubbub, the mind looks ahead and wonders, “What’s next?” What happens when you’ve seen a dream literally come true? At first, I half-feared my passion for writing might fade. That, because I’d done what I’d set out to do, I might lose the drive to keep going. Fortunately, that didn’t happen. In fact, I only became all the more eager to leap onto the next book, to tell my next tale, and see it get published as well! I quickly realized that initial dream I had was just a single facet of a much bigger vision of pursuing a lifetime of creativity and constant growth as an author. I’d hit a milestone, yes, but it was only the first of many. That thrills me. I now know the only limits on what I dream to achieve are the ones I set on myself. Sure, there will be dreams I have that I’ll never see come to fruition—but that doesn’t mean I won’t chase them. Sure, there will be failure—but I can learn from it and move on. And throughout it all, I can be confident that there will always be new challenges to overcome, new milestones to celebrate, and new dreams to reach for. Click here for the English version of the story. Cu mare place va prezint un nou scriitor de primul rang, Sebastian Bangs, cu varsta de 5 ani. Aceasta poveste a fost scrisa de el in ultimele zile, cu redactare usoara de mine. Doua balene au venit la copilul care s-a nascut in ocean. Baiatul a urcat pe balene si s-a dus la un loc secret in ocean balenelelor. L-au dus la un loc unde erau monede de aur. Balenele i-au spus, “La revedere!” copilului care s-a nascut in ocean! Copilul a revenit la tarm. Copilul a fost invitat acasa la balene si era foarte speriat pentru ca credea ca balenele vor sa-l manance, dar nu erau asa de rele. Familia balenelor a crezut ca acest copil arata ca el e e prietenul nostru care s-a nascut in ocean. Baiatul care s-a nascut in ocean avea o prietena pe care o cauta. Baiatul care s-a nascut in ocean a gasit-o pe prietena lui. Era pe partea cealalta a oceanului si doua balene care erau prietenele baiatului au spus ca s-a facut o noua casa pentru baiatul care s-a nascut in ocean. Si a stat acolo cu prietena pe care o cauta. Niste serpi au vrut sa-l manance. Serpii au vrut sa-l puna in inchisoare. Si inchisoarea era un cuptor. Si serpii l-au pacalit pe baiat care s-a nascut in ocean. El credea ca cuptorul era perna lui unde se culca, dar era cuptorul. Serpii au facut foc in cuptor. Si l-a lovit foarte tare pe baiat care s-a nascut in ocean. Cele doua balene au venit sa-l salveze. Si l-au salvat pe baiat care s-a nascut in ocean. Si l-au adus unde era prietena lui pe marginea oceanului. Si a jucat cu prietena lui. Dupa aia cerul s-a schimbat in nori si erau multi serpi care erau facuti din curent electric. Serpii au vrut s-o manance pe prietena baiatului care s-a nascut in ocean. Si au venit balene de foc si serpii si balenele au vrut sa se distruge unii pe altii. Baiatul care s-a nascut in ocean a fugit cu prietena lui. Dupa aia au vazut serpii din curent electric si balenele de foc si balenele cele doua. Balenele au batut pe serpi. Universul oceanului era salvat. Si cele doua balene si balenele de foc si prietena si baiatul care s-a nascut in ocean au mers acasa. Dati click aici pentru versiunea in limba romana. I’m delighted here to present the first work by a budding novelist of the first rank, Sebastian Bangs, age 5. The original story was composed in Romanian; it has been lightly edited and translated by myself. Two whales came to the boy who was born in the ocean. The boy climbed onto the whales and went to a secret place in the whales’ ocean. They took him to a place where there were gold coins. Then the whales said, “Goodbye!” to the boy who was born in the ocean. The boy returned to the shore. Then he was invited to the whales’ home, and he was very frightened because he thought the whales were going to eat him, but they weren’t so bad. The family of whales thought that this boy would be their friend because he had been born in the ocean. The boy who was born in the ocean had a girl friend that he was looking for. The boy who was born in the ocean found his friend. She was on the other side of the ocean, and the two whales who were the boy’s friends told them that they had made a new house for the boy who was born in the ocean. And he stayed there with the friend that he had been looking for. There were some snakes who wanted to eat him. The snakes wanted to put him in jail, but the jail was actually an oven. And the snakes tricked the boy who was born in the ocean. He thought that the over was his pillow where he slept, but it was actually an oven. The snakes made a fire in the oven, and they hurt the boy who was born in the ocean. But the two whales came to save him. They saved the boy who was born in the ocean, and they brought him to where his friend was on the edge of the ocean. And he played with his friend. Then the sky was filled with clouds and there were very many snakes made of electricity. The snakes wanted to eat the friend of the boy who was born in the ocean. Then whales of fire came, and the whales and the snakes wanted to destroy each other. The boy who was born in the ocean ran away with his friend. Then the snakes of electricity and the whales of fire and the two whales came, and the whales defeated the snakes. The world of the ocean was saved! But the two whales, and the whales of fire, and the boy’s friend, and the boy who was born in the ocean all went home. 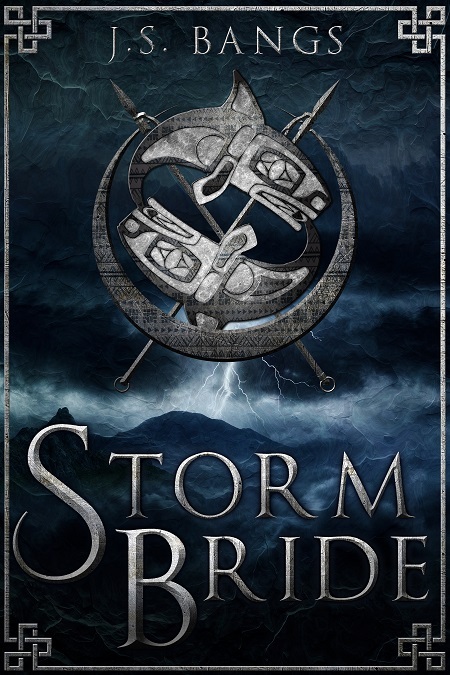 The new cover for Storm Bride is ready. But the real question is when will the book be out? December. Not far off. I’ll let you know. The Romanian mountains have some of the most picturesque villages you’ll ever see, especially in the autumn. There’s no need to pay to go into Matthias Church (one of the two major churches that tourists will want to see). Instead, wait until the evening Mass. Then you’ll get to see the interior of the church and enjoy the lovely organ. The subway has incredibly long escalators going down. It’s also extremely fast, and if you’re trying to visit multiple sites in one day, certainly worth a day pass. Our hotel, the Buda Castle Fashion Hotel, was an excellent deal, situated right in the heart of Buda Castle Hill, within a few blocks of major tourist sites, and had great staff. Also, we got a free upgrade to a 2-bedroom suite after being selected as the “Guest of the Day”. Highly recommended if you’re thinking of going. Hungarian spelling is really weird. A Romanian village in autumn. Sebi, showing that he’s as strong as the Huns of old. The Fisherman’s Bastion during the day. Me and Sebi, holding up the tiny back door into Matthias Church. Matthias Church seen at night. Fisherman’s Bastion seen at night from below. Matthias Church interior during the evening Mass. The incredibly long escalators in the Budapest subway. Larisa and Sebi with the Hungarian Parliament in the background. An altarpiece of the crucifixion in St. Stephen’s Basilica. The Great Synagogue in Budapest. I’m very excited to announce that The Best of Heroic Fantasy Quarterly is going on sale on Nov 18, including my story The Last Free Bear. I’ve seen the proofs for this book, and let me tell you it looks gorgeous, with fantastic cover art (that you can see above), as well as a collection of stupendous stories for anyone who likes epic fantasy, sword-and-sorcery, and heroic fantasy. It’s well worth your time.